Scented scarlet-orange blooms are bourne on Danse de Feu climbing roses over clean bronze tinted foliage. Although the blooms are not the largest, the colour is vivid and the freedom of flowering is outstanding. 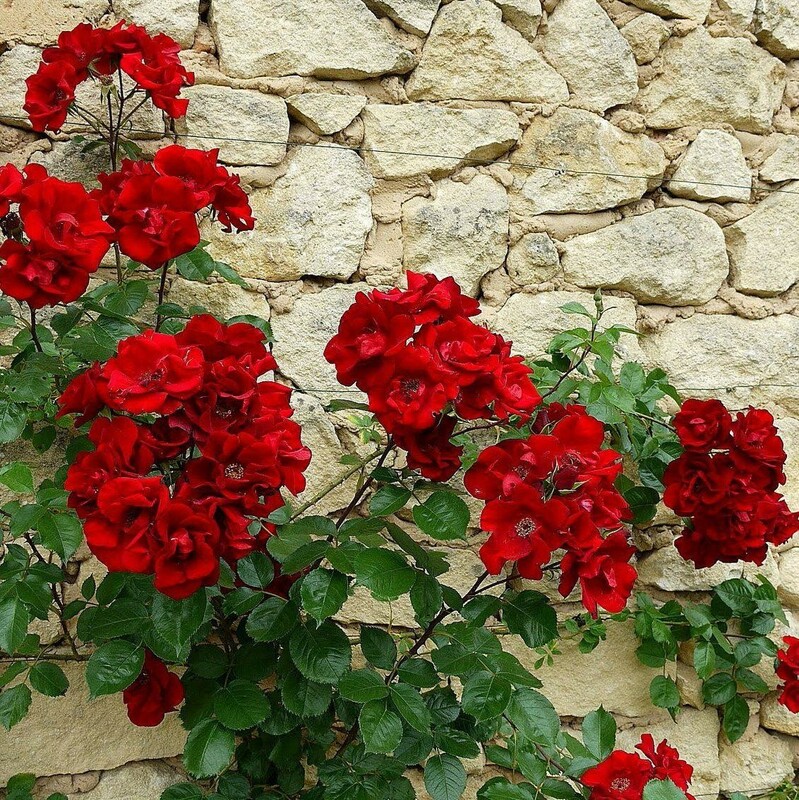 One of the best climbers for a wall or pergola, climbing Rose Danse de Feu is one of those climbers with a great scent, if left unprunned it will reach up to approximately 4 metres (12ft). Very strong premium quality plants supplied in approx 5 litre containers.